Yoko: The town hotel will be reopened? David: And there are plans to develop something at Satoyama Ravine. Yoko: I haven't heard anything. But if anyone came up with such an idea, it must be Mr. Aoki. Naoki might know more. David: OK, I'll talk to him. Yoko: By the way, we got a lot of customers who decided to stay here after seeing your pictures on our website. Times have really changed. David: I hope my pictures continue to revive Hanasato Ryokan. Yoko: Me too, David. Could you keep taking pictures that make people want to stay here? The town hotel will be reopened? 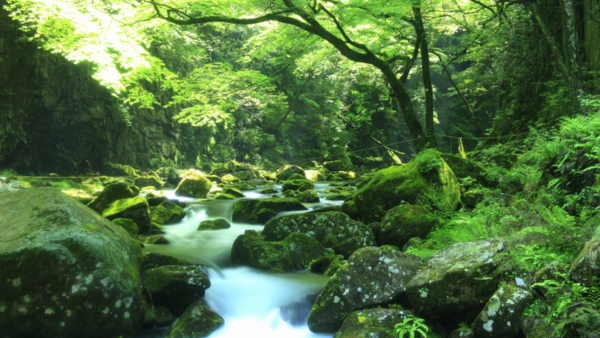 And there are plans to develop something at Satoyama Ravine. I haven't heard anything. But if anyone came up with such an idea, it must be Mr. Aoki. Naoki might know more. OK, I'll talk to him. By the way, we got a lot of customers who decided to stay here after seeing your pictures on our website. Times have really changed. I hope my pictures continue to revive Hanasato Ryokan. Me too, David. Could you keep taking pictures that make people want to stay here? He hopes his pictures continue to revive Hanasato Ryokan. Could you keep taking pictures that make people want to stay here? Could you cook something that makes our bodies warm? Could you give me medicine which makes me feel better?